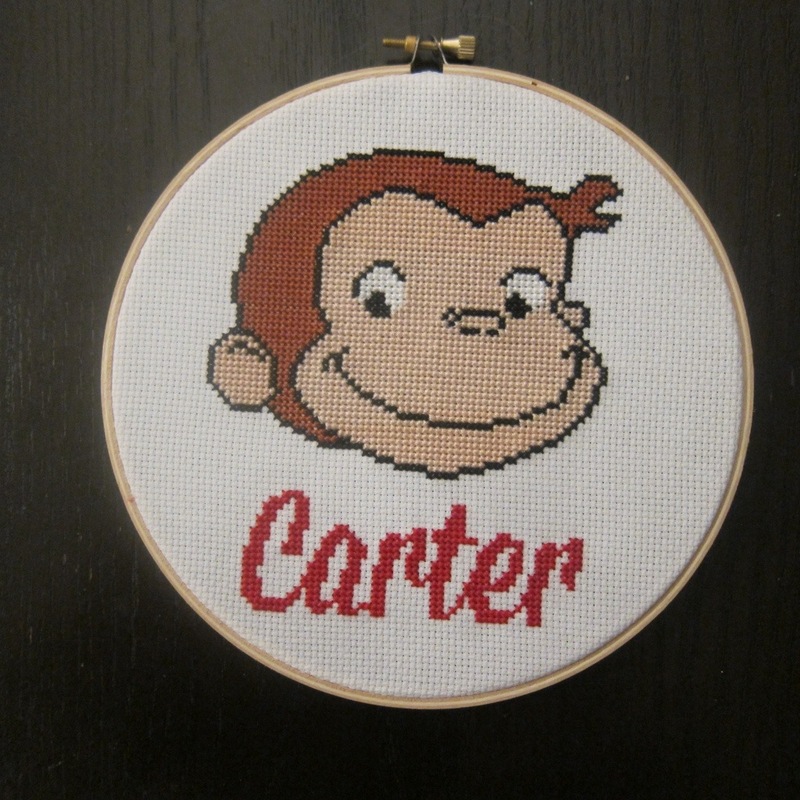 You are here: Home / Cross Stitching / Curious George Cross Stitch! 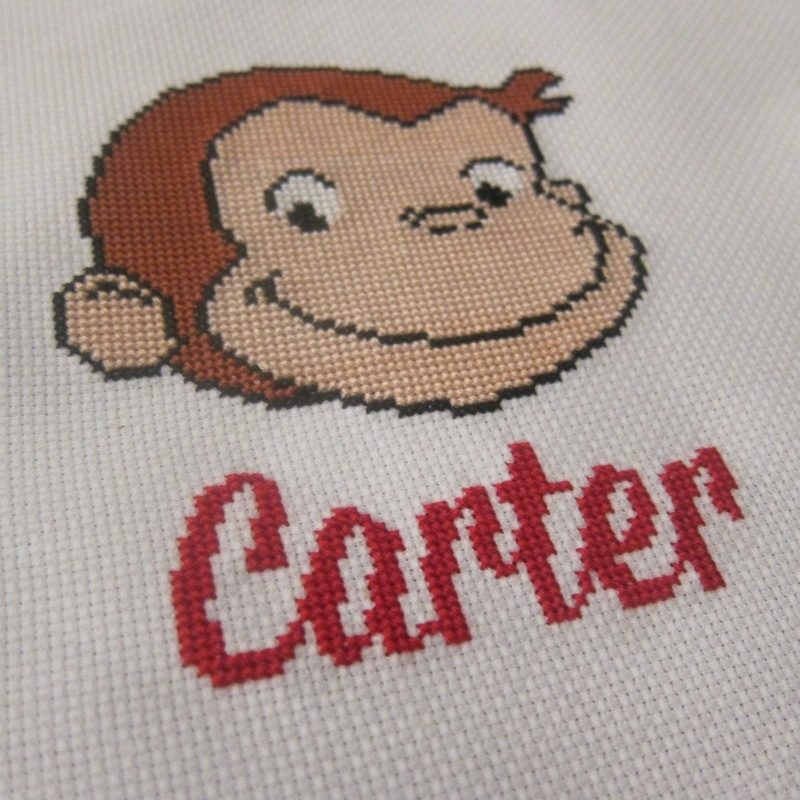 Evie’s friend recently turned 3 and was having a Curious George birthday party, so I decided to make him a cross stitch. Unfortunately, it took much longer than I expected and it was a couple weeks late. I thought it turned out really cute, but it makes me nervous to give gifts that I’ve made. When he opened it he kissed it, so I think it’s safe to say he liked it! My daughter loves George. Where can I get this pattern? I just posted the free pattern today. Enjoy! Would you say this is “vintage” style george or modern? I used the PBS Kids Curious George, so modern. where can I find the pattern please? My nephew loves Curious George. Thank you for the free pattern. Also, could you tell us if you have a website to generate font like the one you used. Thank you so much! The font is a free one called Lobster Two. In order to get the type pixelated for cross stitch I use 14px resolution in Photoshop. Type is tricky though and it requires some resizing to look right. Hope that helps!